After a rough Spring Break weekend, Miami Beach Mayor Dan Gelber has called a special meeting of the City Commission for Tuesday morning. The notice indicated the meeting was to discuss traffic though Commissioner Michael Góngora has asked that a crime discussion be added as well. As the first of two peak weekends began on Friday, the City reduced travel lanes eastbound on the Julia Tuttle Causeway from three to two to monitor cars coming onto the Beach using license plate readers. The MacArthur is already at two lanes due to construction. Tempers flared as residents posted photos of lines of traffic and complained of others using bike lanes to move around. But it’s what many describe as “lawlessness” – videos of fights, including one in which a young woman is knocked unconscious, and photos of police with guns drawn making the rounds on social media – that is causing the most backlash against the City’s policies to deal with the high-impact event. In an angle from the other side of the street, a video shows police removing a large weapon from a backpack taken from the car. Farhy circled herself in a screen shot from the video grabbing her son and running to the back of the café. The perception of crime has been heightened since a robbery suspect shot at a Miami Beach police officer near South Pointe Elementary School on March 8 as students were being let out. He was apprehended shortly after. On March 12, a man was attacked with a baseball bat while walking his dog. The man was hospitalized and police are still searching for his attacker. In the early morning of March 14th, a video from the Sherbrooke Hotel video surveillance cameras shows a man being attacked by a group on 9th Street between Collins and Ocean. On Friday the 15th, the video of the woman being knocked to the ground went viral followed shortly after by the posting of a photo of another incident where police have guns pointed at a car stopped at 9th and Euclid. Saturday night, reports and videos surfaced of two large “brawls” and stampedes of Spring Breakers. It is unclear what they are running from. 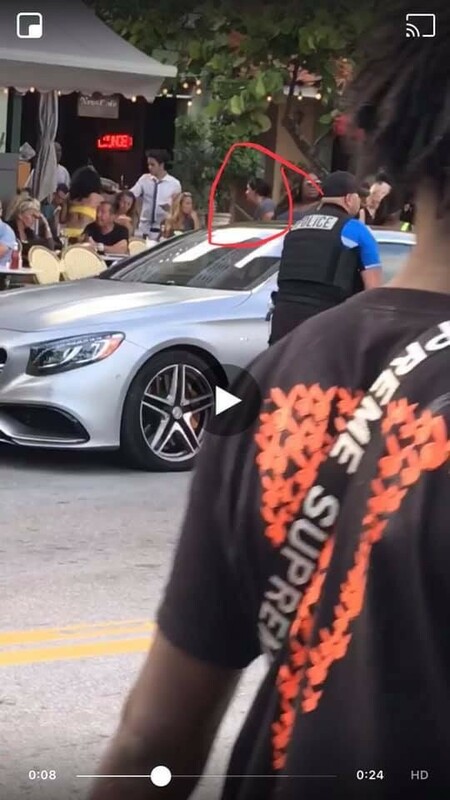 There are several other gun related incidents reported that are not accompanied by photos or video and have not been confirmed by Miami Beach Police. As the negative reports overwhelmed social media, residents and several elected officials posted thank you messages to police officers, goodwill ambassadors, and sanitation workers who are in the thick of the activity. Many residents describe an “exhausted” and “overworked” police force that is "stretched too thin". Sunday was considered a “transition day” from one group of Spring Breakers to the next and officials were hoping for a quieter evening but there was a report of shots fired at 10:00 pm at 15th and Washington. According to the Miami Beach Crime Prevention and Awareness Group, one suspect was taken into custody while another was being sought. MBPD put out a notice on social media to avoid the area due to reports of shots fired. 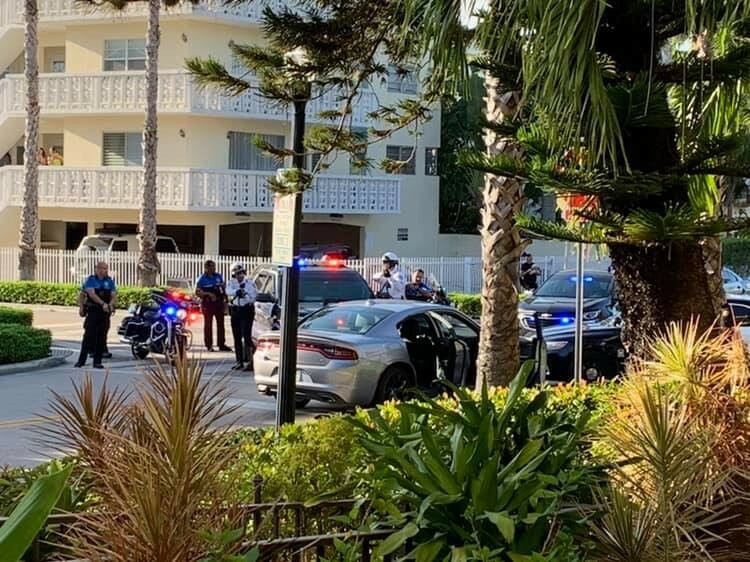 Early this morning, there was a report in the crime group of MBPD officers in pursuit of a man with a gun on Collins Avenue between 9th and 10th Streets along with photos of a heavy police presence in the area. RE:MiamiBeach wrote about a difficult Spring Break last year and a Commission meeting after in which restrictions were considered. “I believe we need more aggressive policing and consider enclosing the problem where it can be better controlled. We need to take action immediately when there is criminal behavior taking place. I expect to hear some suggestions from our paid administrators on Tuesday,” he said. In addition to the 8:00 am Commission meeting, Góngora chairs the Neighborhood and Community Affairs Committee which has a regularly scheduled meeting at 2:00 pm on Tuesday at which crime is a standing item on the agenda. Later, at 6:00 pm, the Police/Citizens Relations Committee will hold its regular meeting at 6:00 pm at Police Headquarters, 1100 Washington Avenue. That meeting is also open to the public. Góngora has encouraged residents to come to any of the three meetings that day to express their concerns. Note you can also send comments to the Mayor and Commissioners via email. “I am hopeful that the Mayor will see the gravity of the situation and allow for a conversation with the full commission on Tuesday morning,” Góngora said. “Regardless, at Neighborhoods Committee I will raise the issue. Residents are very upset and we can’t tell them that the best solution we can come up with is to notify arrestee’s universities.” He was referring to an earlier policy, since reversed, to notify schools when a student was arrested here on Spring Break. “There needs to be a level of preventative policing that is not currently part of the model whether it be on a random Saturday or a high impact weekend or Spring Break. We are not living in a preventative policing model,” Grieco said. “Half the kids aren’t in college. It’s an antiquated thought process to send messages out to colleges,” he said referencing the “Come on vacation, don’t leave on probation” marketing campaign. A master’s thesis on Fort Lauderdale’s efforts to crack down on unruly Spring Break behavior from 2013 is once again making the rounds in Miami Beach. “The residents and local business owners have a mutual contempt for spring break,” he wrote. “There are no competing interests like they had in Fort Lauderdale during the controversial shutdown of Spring Break in the mid 80’s” when businesses were concerned about lost revenue. 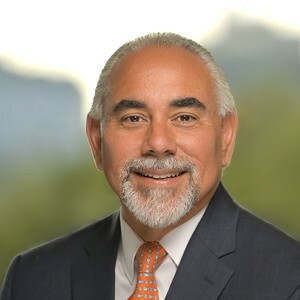 Deutzman highlighted two initiatives in Fort Lauderdale including “aggressive enforcement of all over capacity issues which included the arrests of 3 managers of the Elbow room, the arrest of the manager of the Fort Lauderdale Surf Hotel and the complete shutdown of the Fort Lauderdale Surf Hotel” and “2,500 Arrests for drinking in public” though he noted, “I’m not sure at the moment we have the capacity or manpower in place for this and our crowd seems more violent this year. Ultimately we haven’t followed through on the threat” to aggressively enforce the rules. 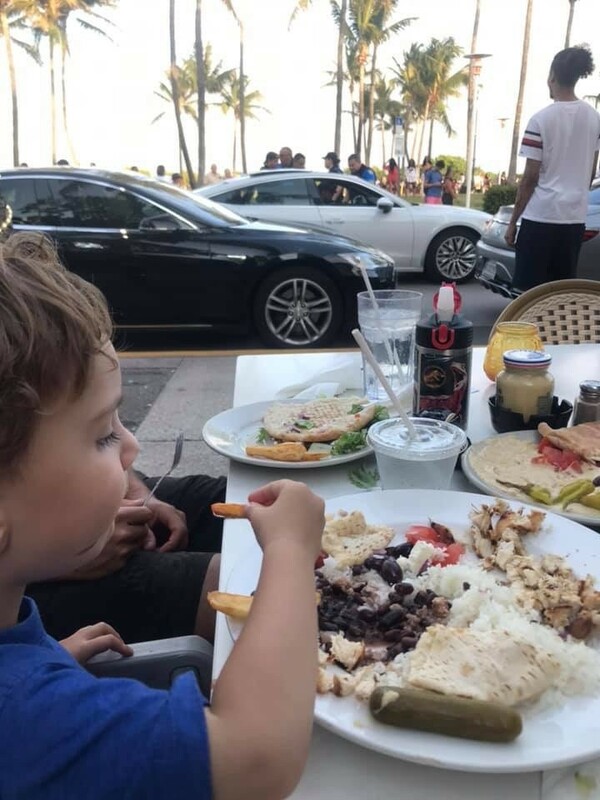 The Entertainment District runs from 5th to 15th Streets on Ocean Drive and Collins Avenue and is where the bulk of activity usually takes place. It abuts the South of Fifth neighborhood to the north. “Unfortunately, Miami Beach is thought of as a place where anything goes. Until the City truly has a zero tolerance policy on open containers, smoking weed in the street, cars blasting music and ignoring traffic signals, etc, and enforces it year round, the problem will get worse,” Needelman said. We reached out to the City Administration but did not receive a response to our request for comment. Mike Palma, President of the Ocean Drive Association, said he wanted to speak with his Board on Monday before commenting.